Yes, that's right. Now you can download the entire unabridged text of this great novel absolutely free! This plunder is yours for the taking. You can download it now, or if you're short on disk space, you can come here and read it online whenever you want. Whether this was an actual sea shanty or a fictional creation of Stevenson's is uncertain, but several authentic pirate songs were written down and have survived. Some of these songs can also be found Weird History 101. We hope you'll enjoy Treasure Island. 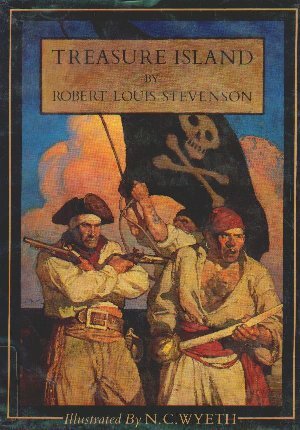 What town inspired Stevenson to write Treasure Island?